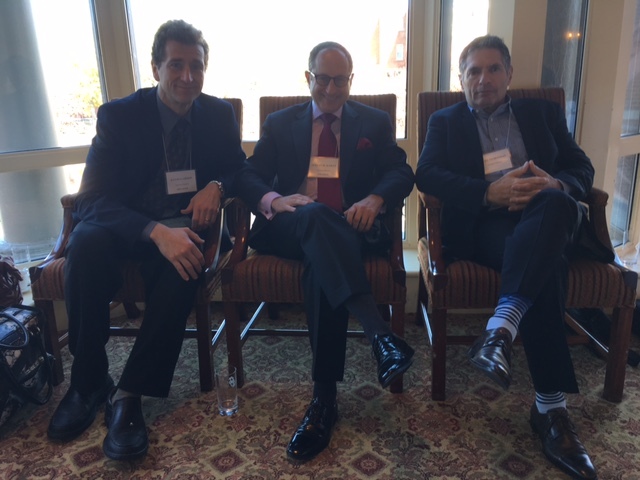 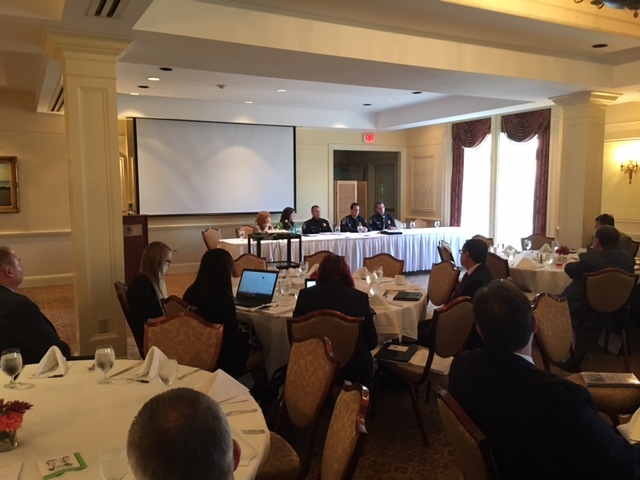 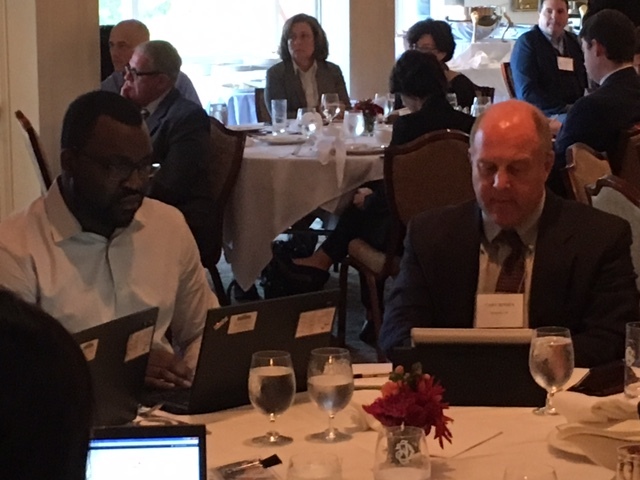 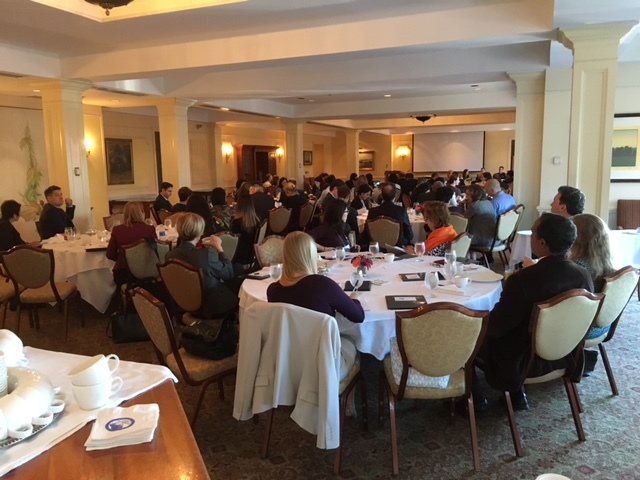 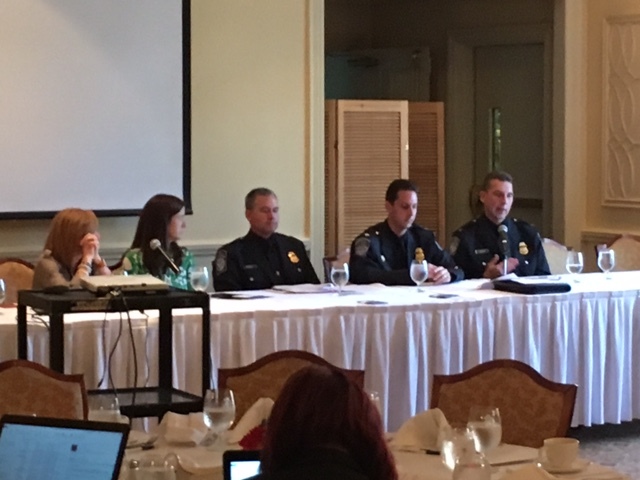 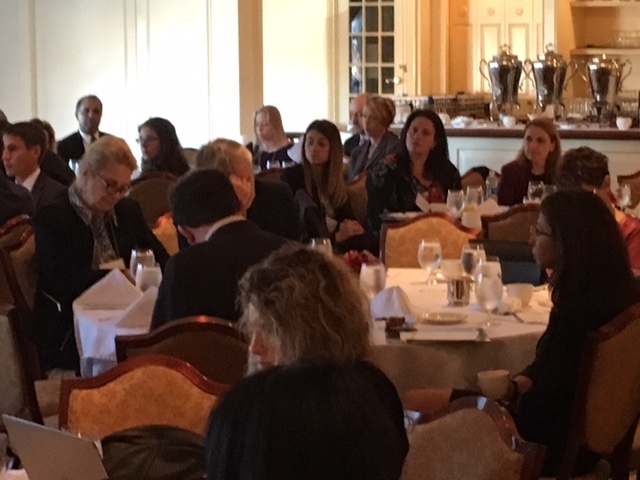 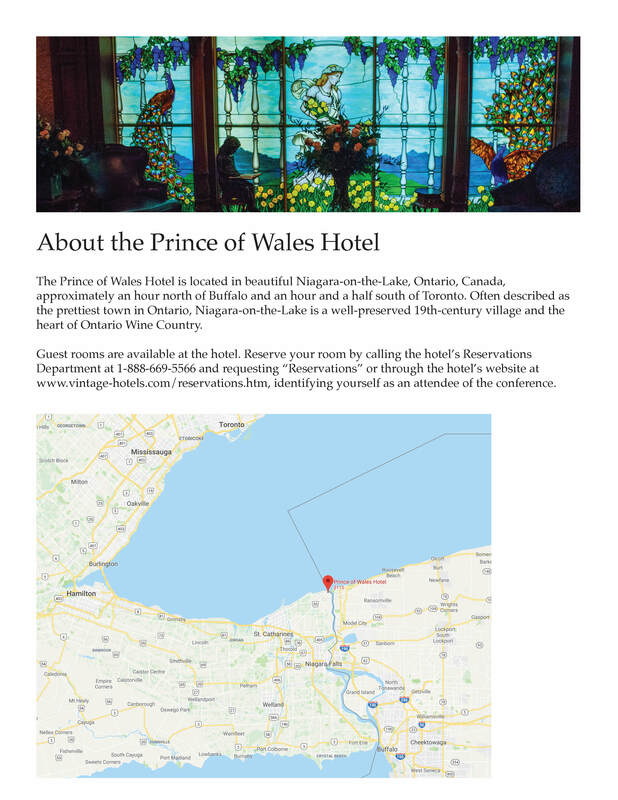 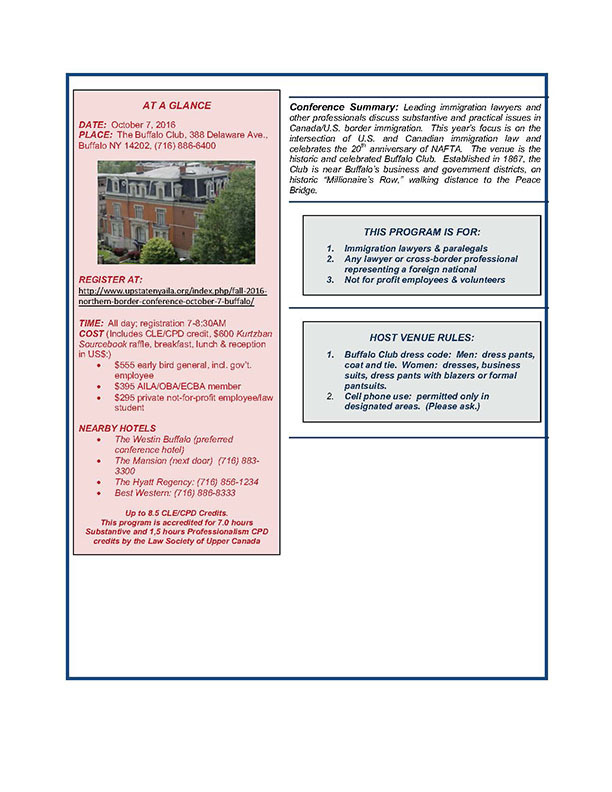 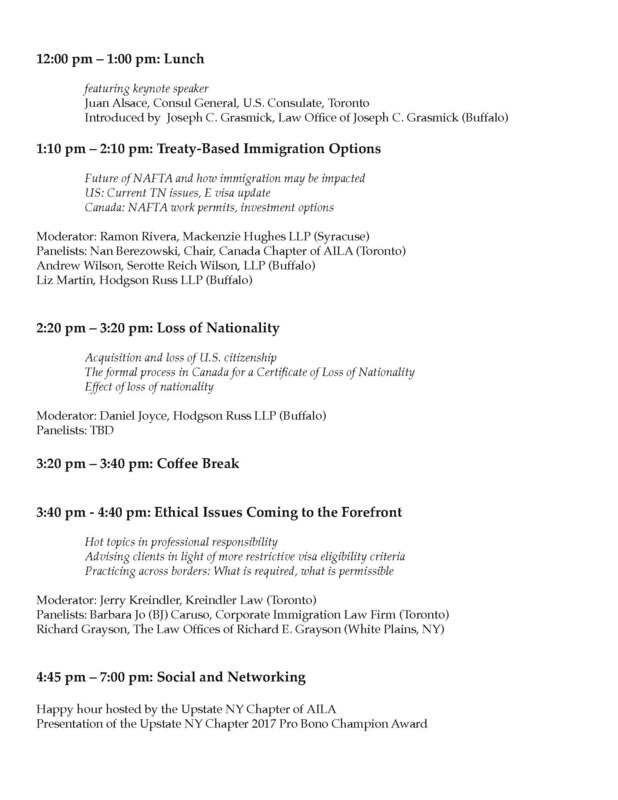 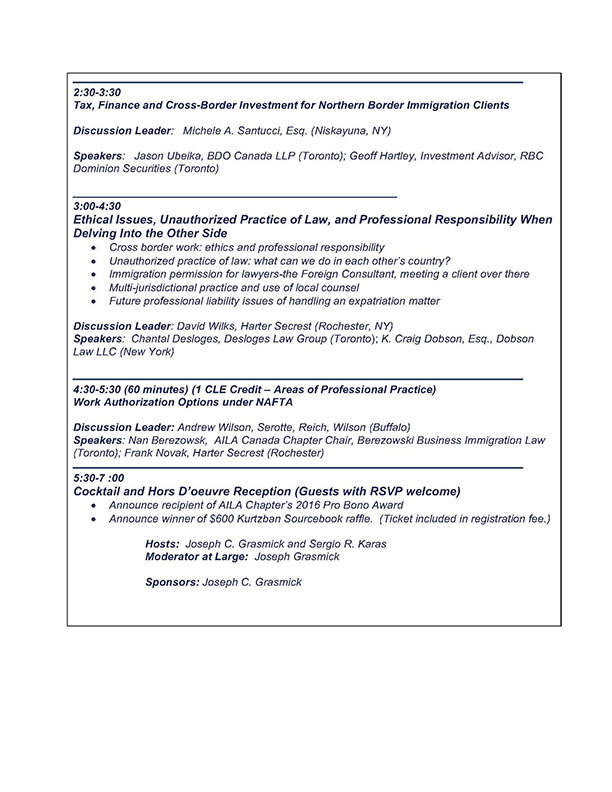 The 2018 Northern Border U.S.-Canada Immigration Law Conference was held on October 19 in the Royal Cambridge Room of the Prince of Wales Hotel in Niagara-on-the-Lake, Ontario, Canada. 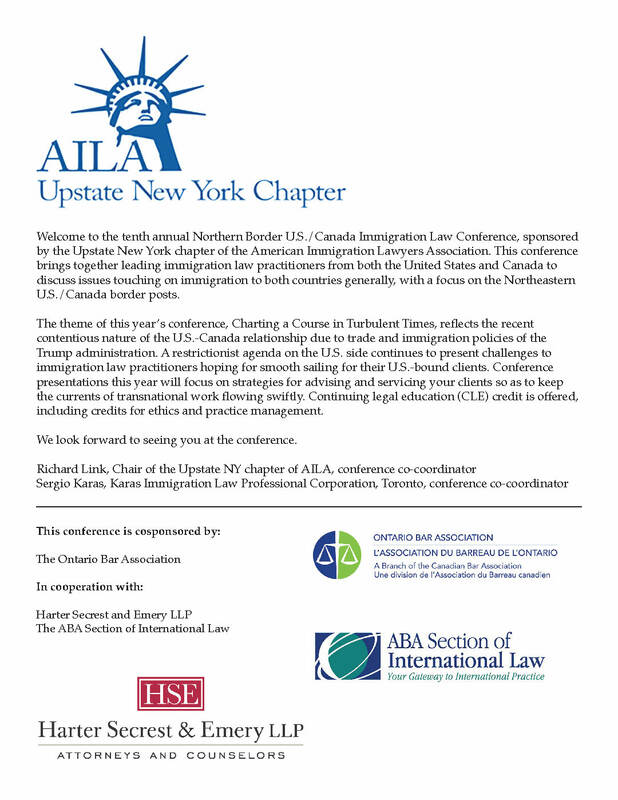 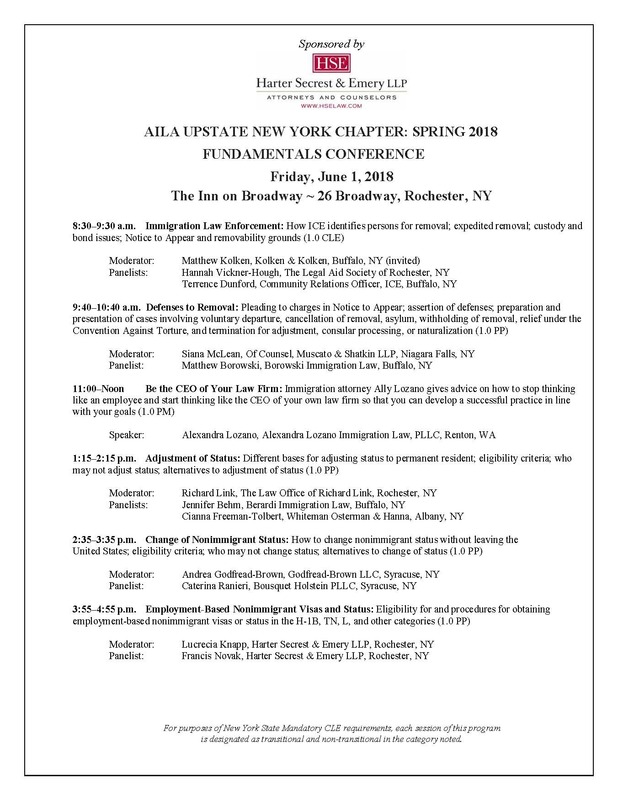 The AILA Upstate NY chapter annual meeting was held on Friday, June 1, at The Inn on Broadway in Rochester. 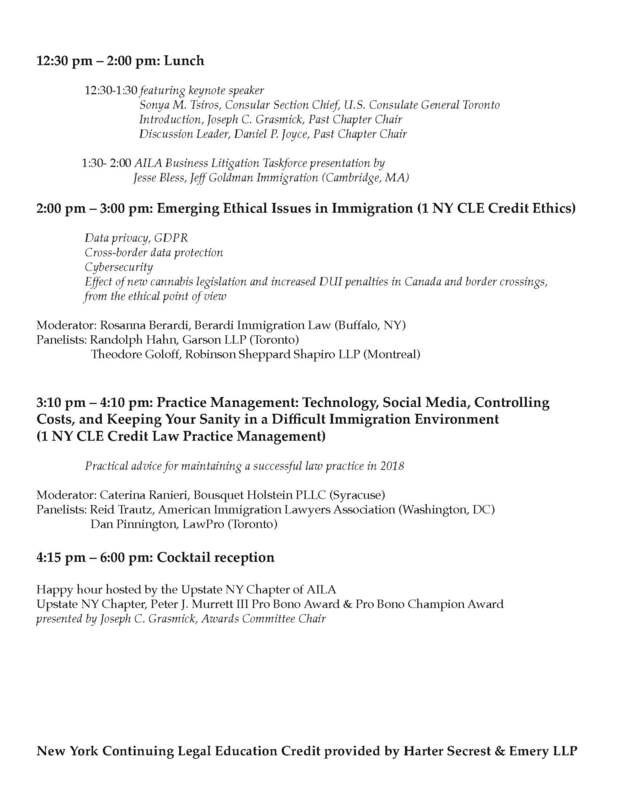 The event began at 5 pm with an open bar until 6, followed by dinner. 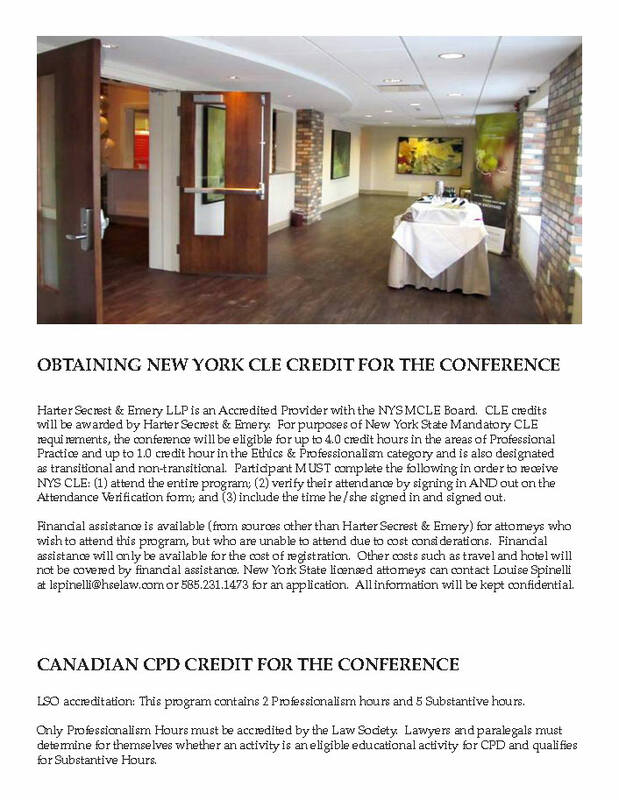 The meeting was preceded by an all-day CLE conference targeted to newer practitioners. 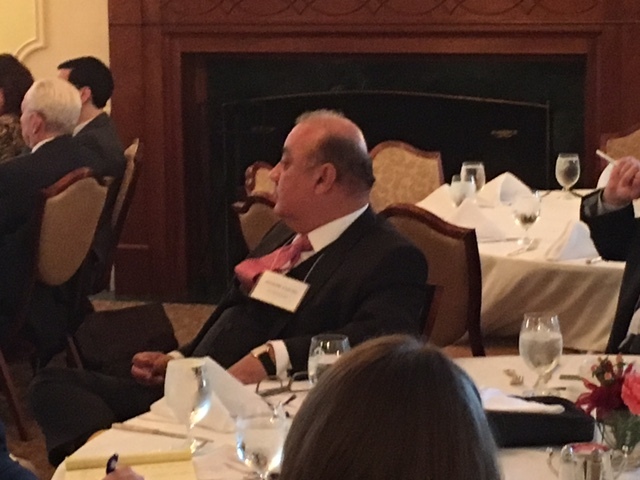 Our special guest was Seattle-area immigration lawyer Ally Lozano, who spoke on How to Be the CEO of Your Law Firm. 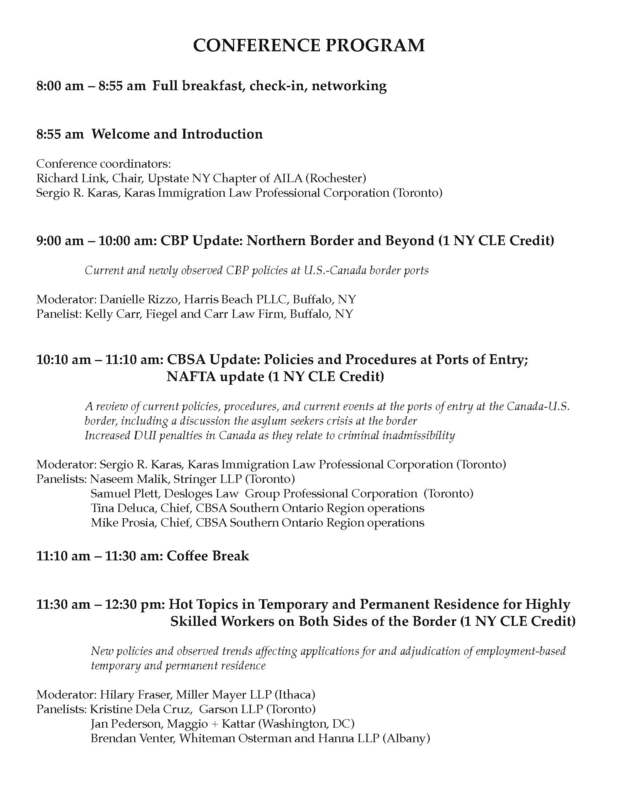 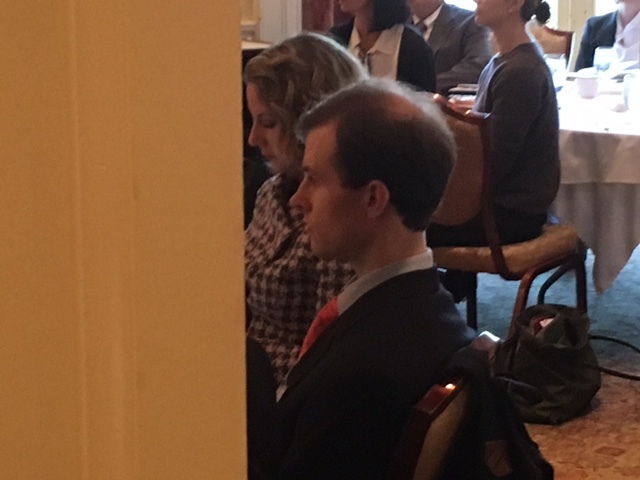 Other panels focused on removal defense, adjustment of status, change of status, and employment-based nonimmigrant visas. 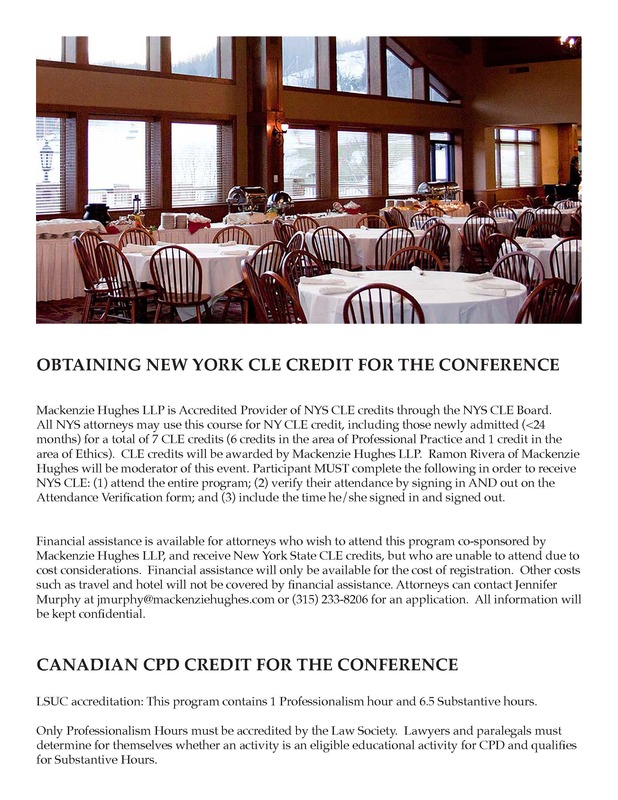 Attendance at all sessions earned six NY CLE credits. 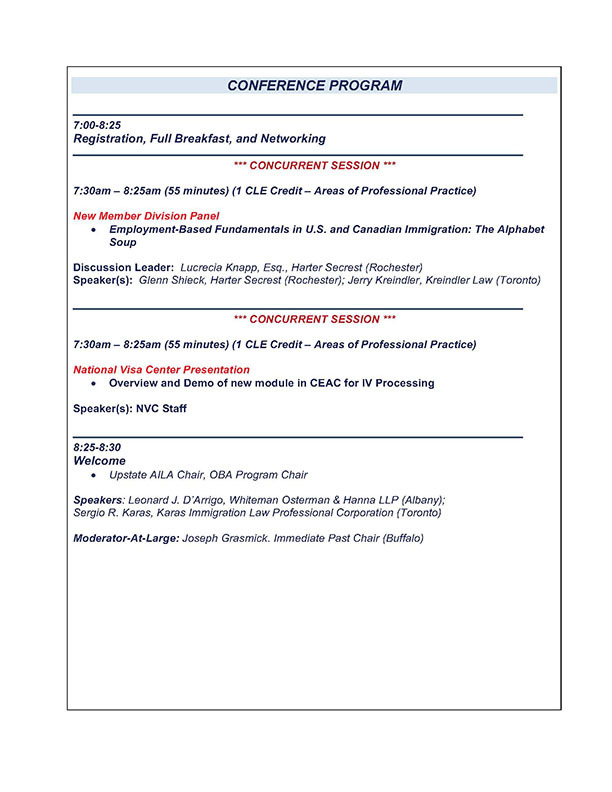 Breakfast and lunch were included with the CLE. 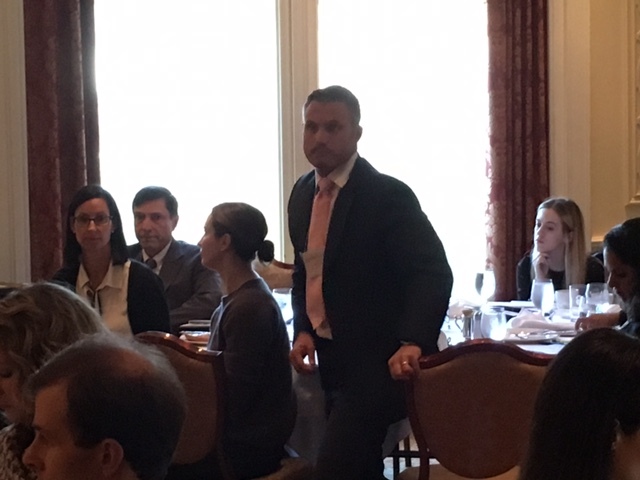 The chapter meeting included the election of chapter officers, presentation of the annual Mark Kenmore Mentor Award, and reports to the membership. 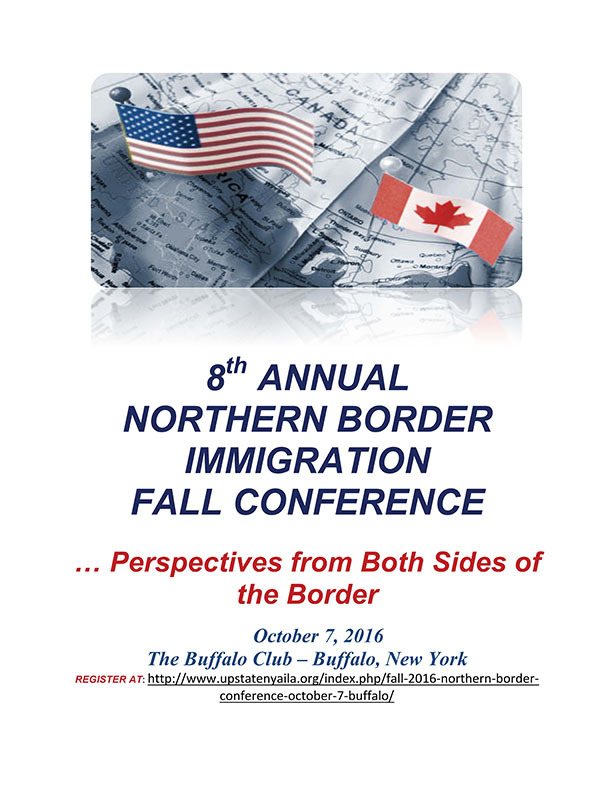 Registration is now open for the annual fall Northern Border conference, taking place this year on Friday, October 20, at the Holiday Valley Mountain Resort and Conference Center in Ellicottville, NY, approximately an hour south of Buffalo. 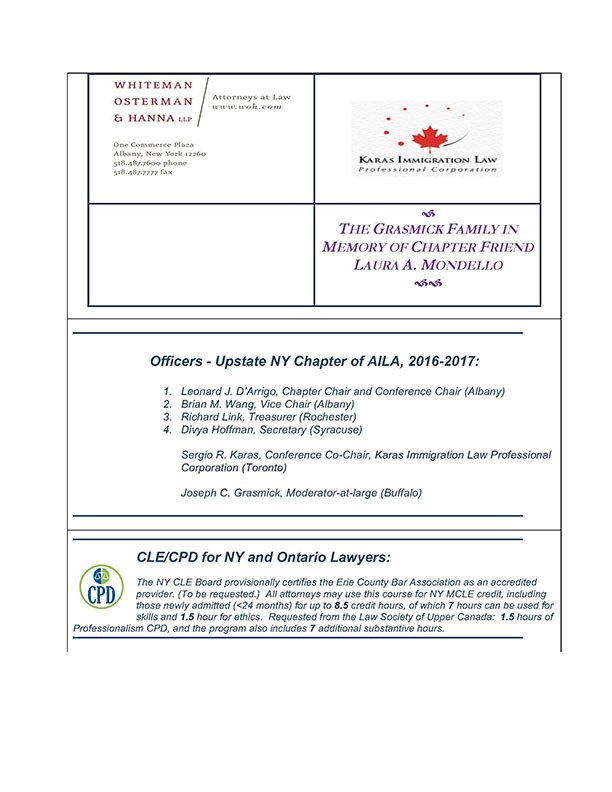 See the program below for CLE information. 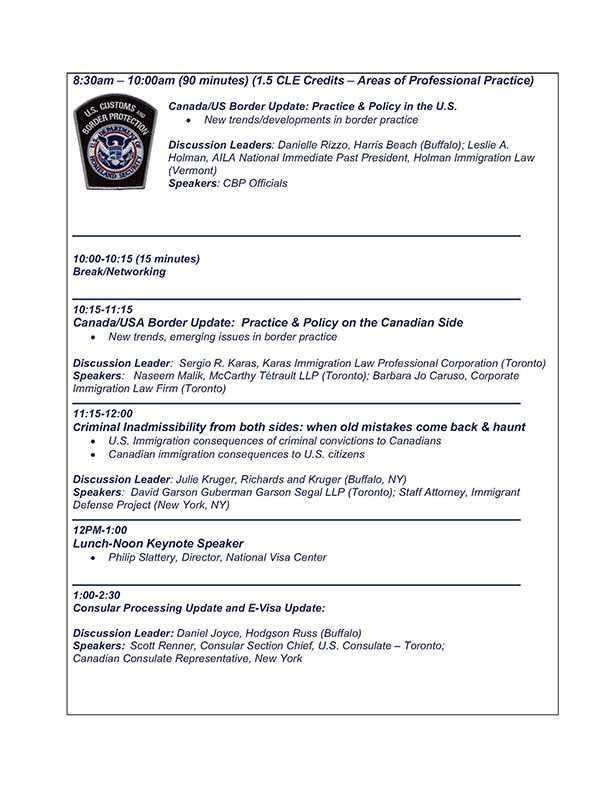 Breakfast, lunch, and a cocktail reception after the conference are provided. 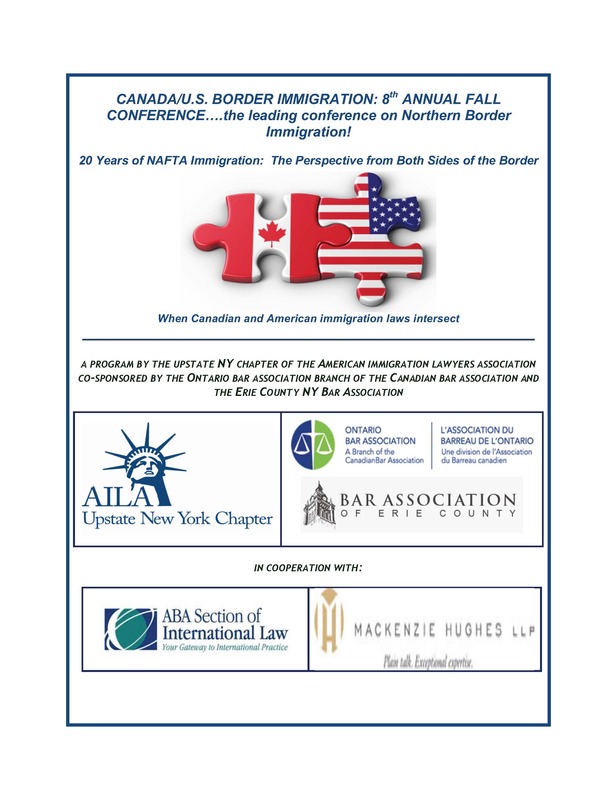 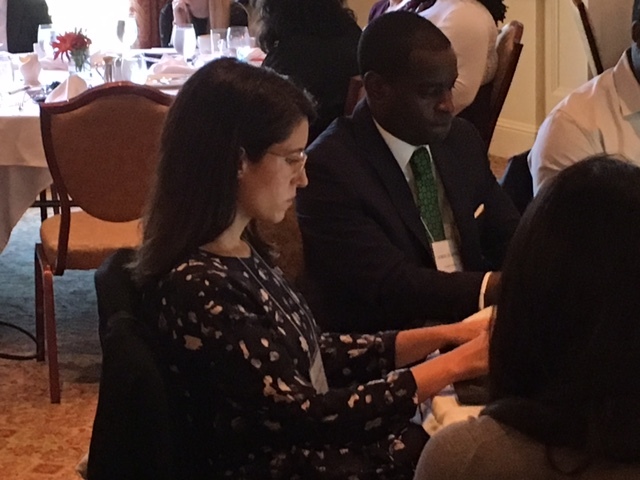 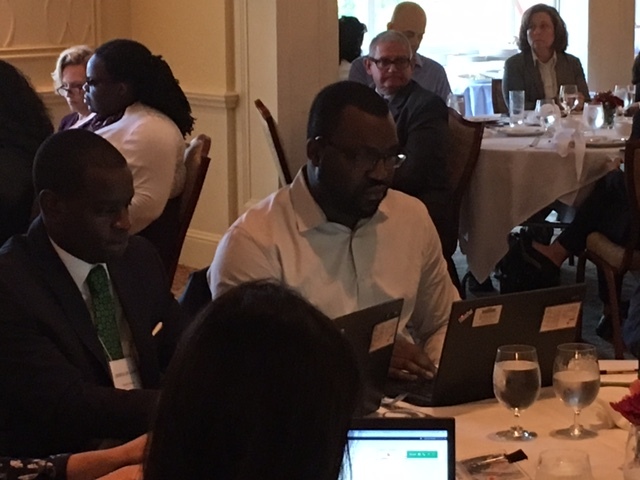 The fall conference maintains a focus on issues pertinent to attorneys and others in the United States and Canada who assist individuals and organizations with interests in both countries. 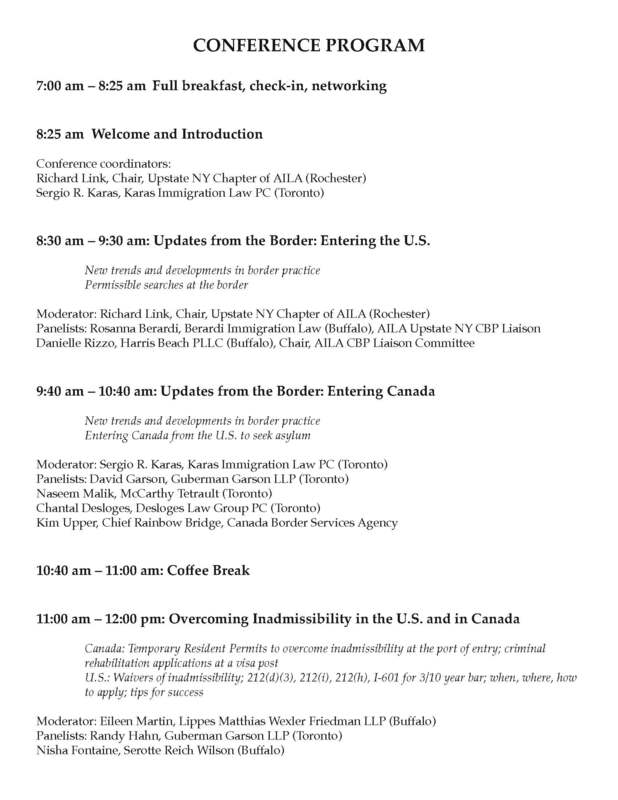 Special emphasis is given to the policies and procedures at U.S. and Canadian border posts and consulates. 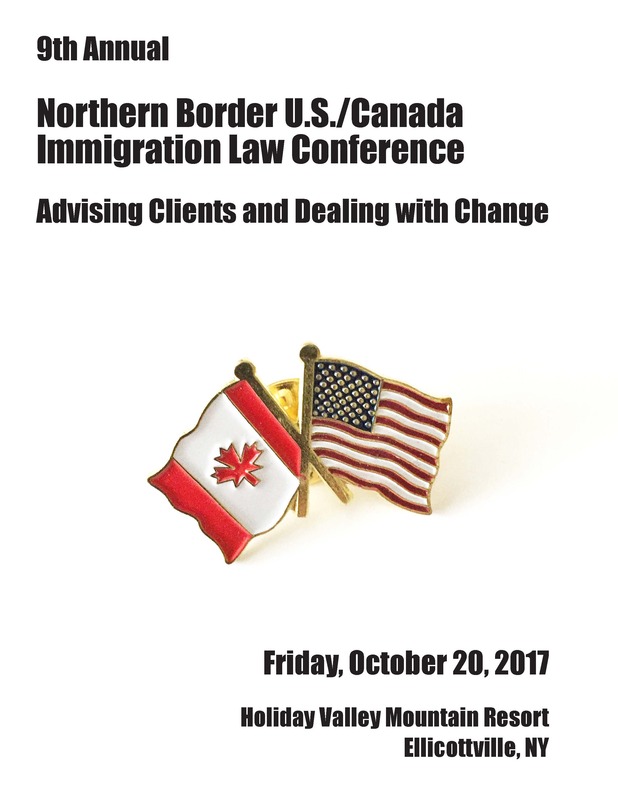 The theme this year – dealing with change – is something the panelists speaking at the conference are well equipped to assist you with. 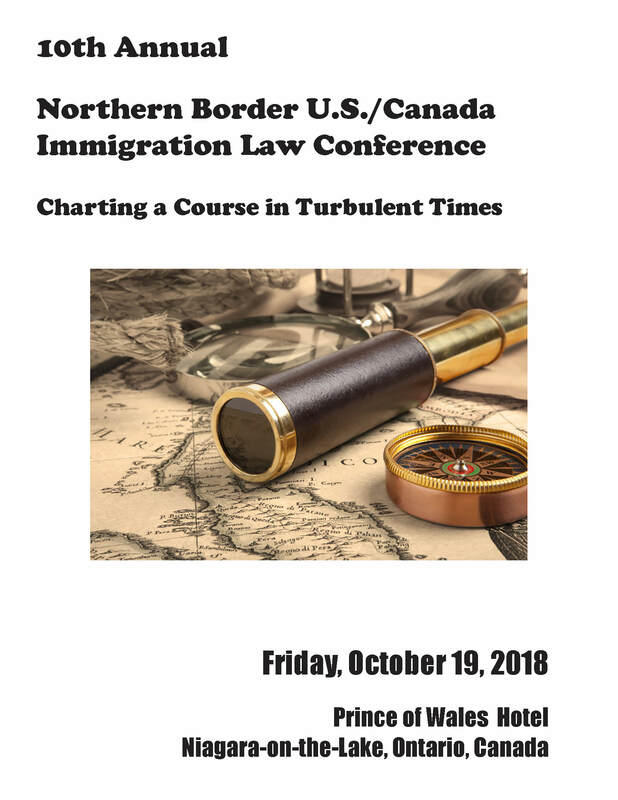 They are some of the leading experts on U.S./Canadian immigration, and they work with the effects of the new U.S. immigration climate every day. 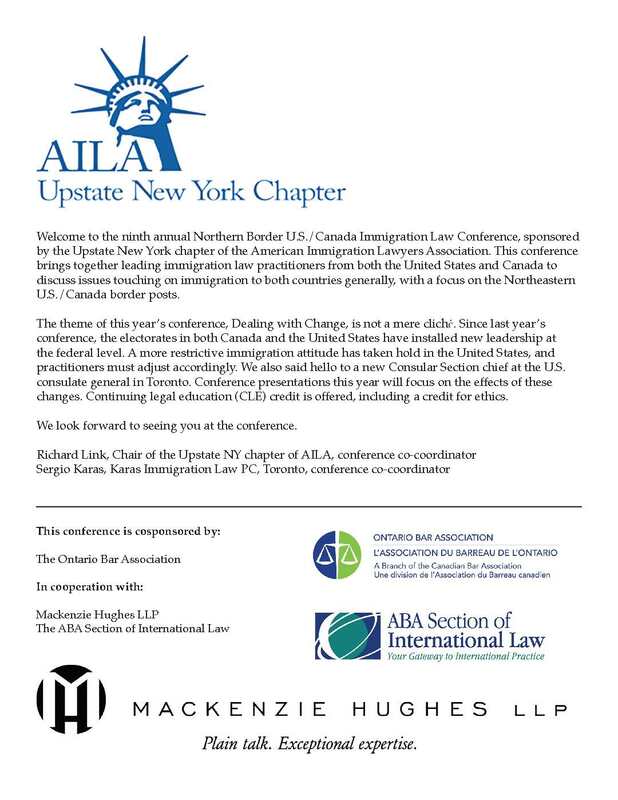 We are pleased to announce that the keynote speaker this year will be Consul General Juan Alsace from the U.S. consulate in Toronto. 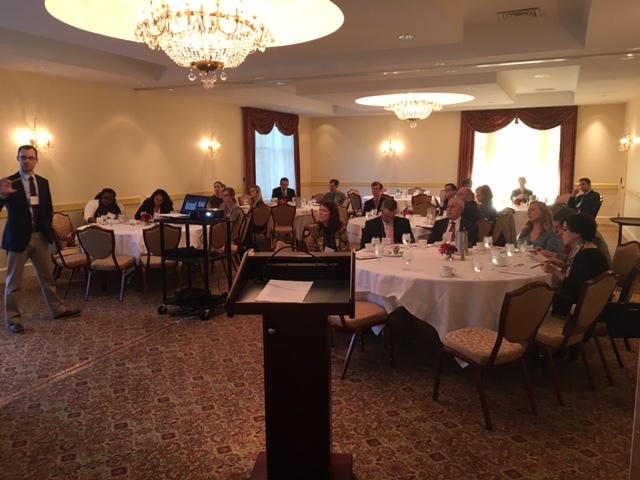 For those wishing to stay at Holiday Valley before or after the conference, reserve your room by calling (800) 323-0020.